Android vs iPhone: what phone do you have right now, and do you intend to switch to the other? Android phones vs the iPhone — boy that's a can of snakes better left untouched. But let's try and tread lightly — we simply want to ask what you own and whether thoughts about switching sides are seeping through your mind. No worries, the poll is anonymous! There's nothing wrong with liking brand “x” over brand “y”, especially if you've had a chance to try both. Plenty of people even often jump between different phones, in order to keep that feeling of freshness and discovery that you might miss out on if you stick to a single brand for a while. And we are pretty sure a few of you out there own an Android phone and an iPhone just for the heck of it. So, let's see who's getting a new operating system these holidays and who's staying loyal! An Android and I am staying on Android An Android and I will be switching to iPhone An iPhone and I am staying with iPhone An iPhone and I will be switching to Android Pft! I have both! It would be bad if phone enthusiasts were iPhone users. Not that there's anything wrong with iPhones (users are another story), just that Apple's ecosystem makes it hard to be enthusiastic. 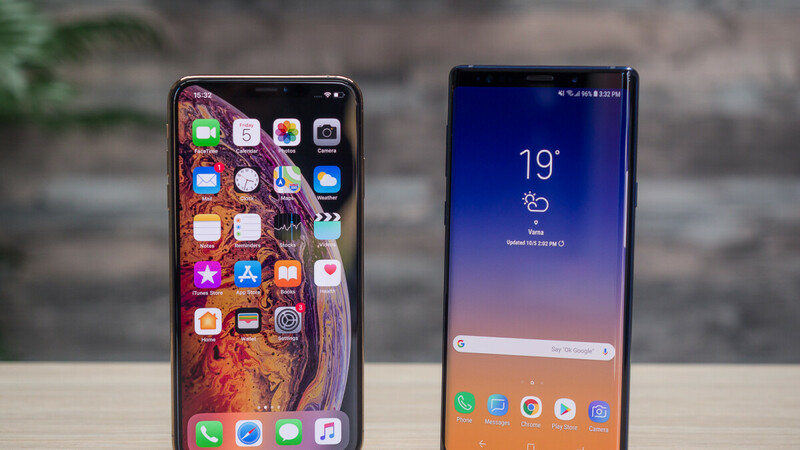 I'm tech savy and I switched to iPhone to experience the ecosystem, tbh is not that bad, a bit bland and monotonous indeed, but it does the job, a simple to medium job that is. For the time I've owned Android phones I had a lot of fun changing everything that can be customized and playing old school games on the phone was a blessing. Sure I miss my Nexus 5X, but why don't give the iPhones some love? I don't own 2 phones because it's cumbersome to me and I like to have everything in one device, that's why I use Google services on my iPhone rather than the baked-in apps so I can make the transition faster and painless as possible. For whatsapp chats I don't care that much since I have a software that can transfer chats between both OS. The only thing I can't move is the purchases I've made in one store or the other, I purchased Minecraft on both OS's stores... (silly me). “For whatsapp chats I don't care that much since I have a software that can transfer chats between both OS” Can you share the name of the app? Thanks! It's called Backuptrans. It costs $29 to purchase, but is very good at transfering all the data of Whatsapp from Android to iOS and viceversa. Reading this site i'm not sure about that tech savy. When you actually talk with Android users it shows that most of them have no clue about tech. Only thing what they compare are numbers on paper and base their opinion to those. When you start to talk with them, very fast you notice they doesn't know anything about the subject when you challenge them. For example like strategic developer who thinks he have Samsung OLED TV.. When i was young i was big nerd i also compared numbers and all. I was very skeptical to buy iPhone because numbers on paper just didn't sound good because back then numbers meant lot. Since then i have opened my eyes and i look different things now. Also when i was young i also liked to tweak everything and were happy if i had problems with my products which i can solve. Now when i'm lot older i just want my device to work flawlessly always. That's why i'm iPhone user, it just works. What is the criteria to be "Tech savvy people"? Let me rephrase that; what qualifications does one need to be considered a tech savvy person? I'm asking honestly, because "tech savvy" is often bandied about by android fans, yet seems sort of intangible, at least to me. For my understanding a "tech savvy" person is a person that knows and loves technology in general, not just phones or tablets, this includes PC's, Software, VideoGames, CarTech, et al. You don't have to be a systems engineer to know and love technology. That's what I think a tech savvy person is. I should of been more specific when i said "more". I don't mean "all" just "most". You seriously think there are 2-3 billion tech savvy people in this world?! iPhone user here and will be switching back to Android. I have both but I voted for my main phone and if I’m happy or not with what it gives me. I have both device. I am not a fanboy, so both Android and iOS is the best smartphone OS right now. I'm an iPhone user, I'm planning to keep my phone for 2 more years before deciding which is better for my needs. For now the phone is responding to all my need, so I'm good. Staying with android, note 10 will be mine forsure. At this point I just want a no headache device that works without fuss. I currently alternate between an Essential Phone and a Note 8, and each device had enough little things that the experience isn't totally enjoyable. Whichever device lets me experience a hassle free and just plain works style of play will be my next choice, platform be damned. Sounds like iPhone is right choice for you. At least some of them, other iOS users forget to put articles in front of their nouns. Except for all the times an iOS update breaks something, which has happened a lot over the past few years. It's very unlikely that you will be affected with those. So far iOS updates haven't broke anything on my devices and been using them since 2009. That's true never owned that phone, 3gs was my first iPhone. We know lol. We also know, you’d lie through your teeth, to protect Apple.